As a composer of instrumental and digital music Pippa has been involved in performances, recordings, collaborations, installations, multimedia work and laptop improvisation in the UK and abroad. She has written music for BBC Radio 4, BBC Radio 3, Scottish Flute Ensemble, Paragon Ensemble, COMA, and many contemporary theatre and dance companies. She has devised and facilitated many community education projects, including composition workshops in Iran, over 50 'Sonic Postcards' projects in primary schools in Aberdeenshire, trained teachers in Scotland, Syria and China with the British Council. She has taught at Edinburgh and Aberdeen University and composed with asylum seekers in Glasgow, Manchester and Edinburgh. She completed her BMus, MA and PhD in composition at Birmingham University. 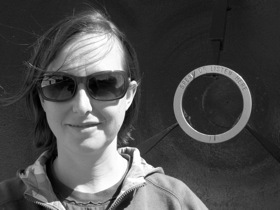 She is the Vice-Chair of Sonic Arts Network and writes for Whitakers Almanac, Sunday Times and The Scotsman.